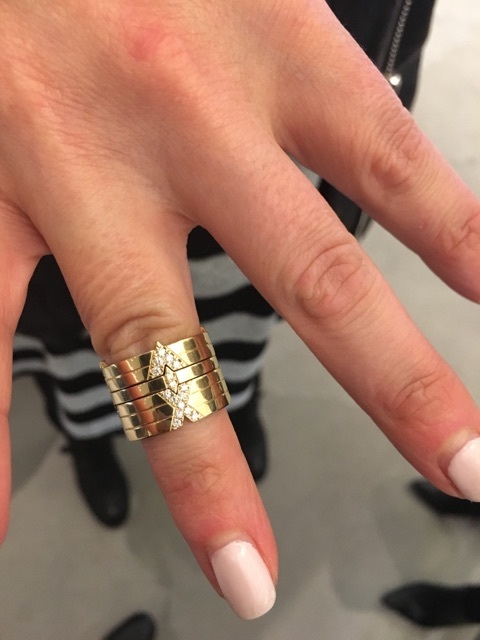 So chic and clever: These are stackable anniversary bands. 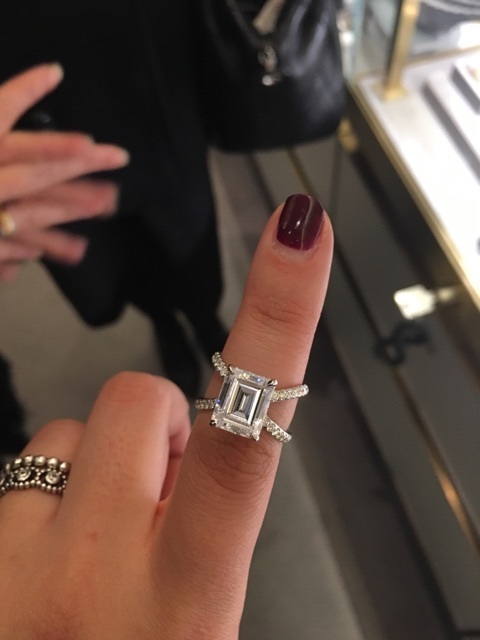 The diamond X signifies the 10th year of wedded bliss, and Lindsey has created bands with more roman numerals to add on as you celebrate future years. 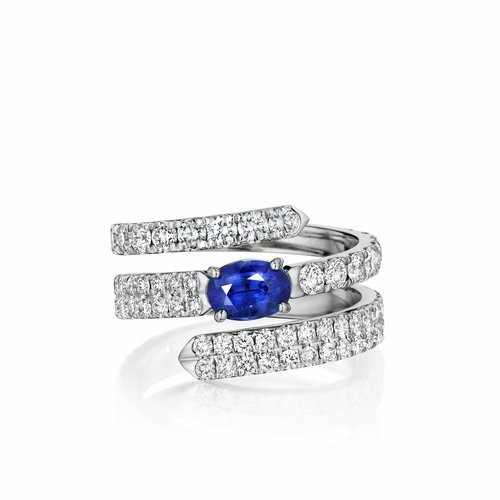 This is hardly your typical solitaire. Love the way Lindsey marries modern geometric design with traditional classical elements to create something so unique and modern. 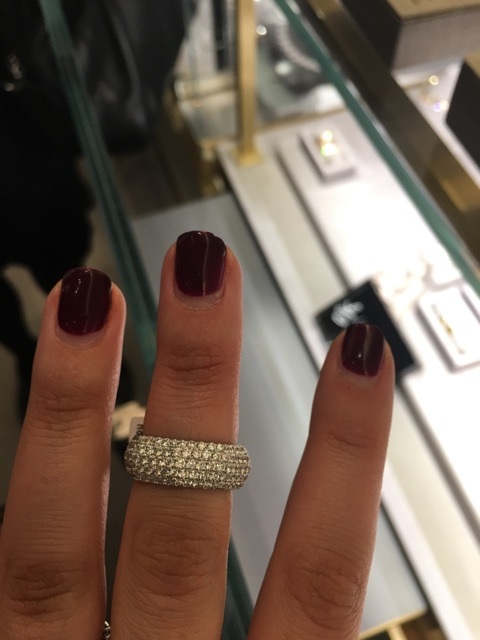 What looks like a pave diamond band is actually an octagon-shaped band, which to me, signifies the multifaceted nature of a love relationship. Beautiful!